With their incredible variety of documents for students, administrators, and vendors, educational facilities need a way to control the delivery of the documents they create and issue without exposing sensitive information. Sensitive information printed on pressure seal forms are loaded into a pressure seal machine which folds and seals the document and outputs a ready to mail piece. With very little exception, there is no confidential information exposed, and the pieces can go into the mail or be hand delivered with the contents protected. The block-out panels and secure seal limit the ways in which private information can be exposed. Just what pressure seal forms will work best for you? It really depends on the information being transmitted. 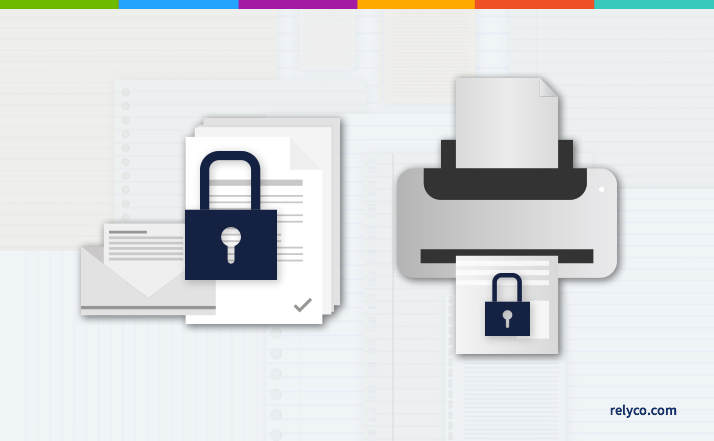 Forms with up to 15 different security features are available in several formats for checks. Blank forms are available for transcripts, grade reports, dorm assignments, class schedules etc. Some institutions prefer to have a form with their logos in school colors, or their return addresses printed on the mailing label. Some want additional security features such as logos in the middle of the form in a heat sensitive ink (color fades when exposed to high heat and returns as it cools). Whatever is needed, a custom form can be created. Regardless of the application, there is a Relyco ULTRASEAL product that will work, be it off-the-shelf stock or custom-designed. What Makes a Good Pressure Seal Form?